2018 is almost at an end and you might now be wondering how it transpired that you were not able to achieve your goals for the year. In some cases, your lack of success so far may be down to your mindset. And, fortunately, there are many techniques you can use to hone your thinking and to remove negative thoughts from your decision-making process. 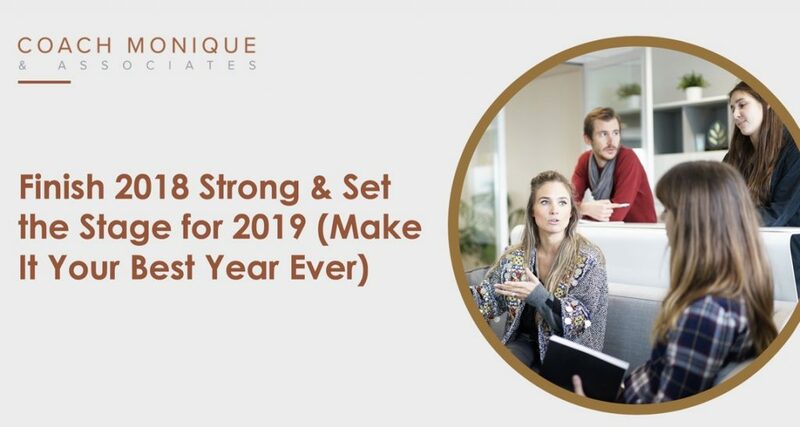 Our new webinar presentation “Finish 2018 Strong & Set the Stage for 2019 (Make It Your Best Year Ever)” will help guide you to a more fulfilling lifestyle. When you attend our webinar, you’ll be introduced to the cycle of negative thoughts and to the techniques you can use to escape this complex cycle. The idea that “I am not enough” is pervasive, and it can cloud our judgments in many areas of our life. In the presentation, you’ll learn more about the reasons why you might be feeling this way, and what you can do to control this powerful messaging. Another important element discussed in the webinar will the impact that pressure has on your mindset. You’ll learn how the pressure you place on yourself can hold you back in achieving progress over time. We’ll highlight the reasons why progress and not perfection should be your ultimate and continual aim. Your mindset is a critical function behind the levels of success you’re able to achieve. We’ll help you use techniques such as the Delete Delete Technique to control negative thinking and focus your brain on positive emotions that can then help guide your decision-making process. Whether your goals are for your personal life or in business, using these techniques can help drive you toward success over the long-term. Regain control over your lifestyle for 2019. Sign up for our upcoming webinar today.